What better day to share about the amazing Martin Luther King Jr., then on his day. I received DK Life Stories: Martin Luther King Jr. to review and I'm so happy I did. A strong leader with a powerful story, Martin Luther King Jr. led the fight for civil rights and inspired the world around him. What I love about this book is that it captures his story in a way that intrigues my kids. Both my thirteen and eleven year old read through this book and loved how easy it was to follow and learn about the man who made a huge impact on our lives. Our household is a mix blend of French Canadian and African American, so learning about a powerful leader who fought for equal rights for all of mankind, is definitely something both my husband and I love to share with our kids. 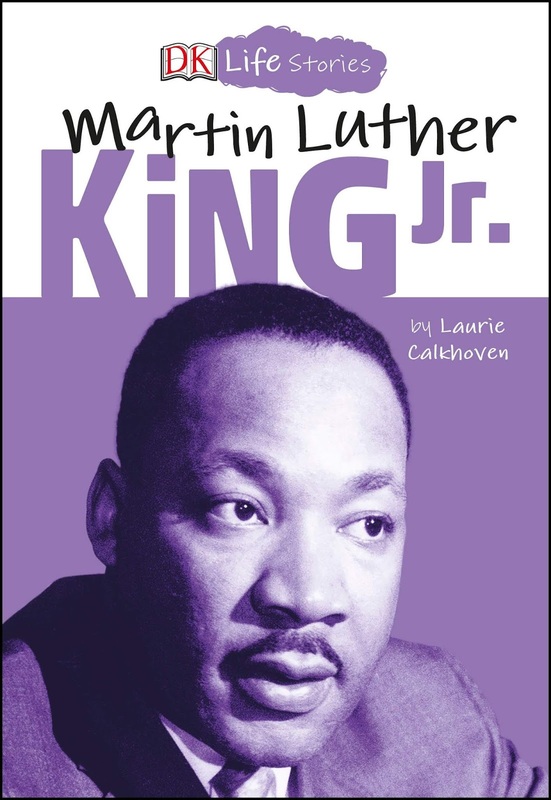 I also love that at the end of the book there is not only a quiz to keep you on your toes on what you just read, but there is also a glossary and index of some of the people who were apart of Martin Luther King' Jr.'s life. Released on January 7, 2019, be sure to head on over to DK Canada for more information on how to get your own copy. Wishing you all a Happy Martin Luther King Jr. day!